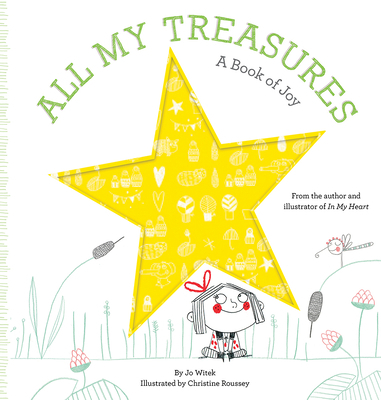 Christine Roussey is the author-illustrator of My Lazy Cat and the illustrator of Hello in There, In My Heart, Brave As Can Be, All My Treasures, and In My Room. She works in advertising, as well as with newspapers, magazines, and publishers. She lives in Paris. "Between the sparkly star shining through a big, shaped hole in the front cover and the closing sky full of starry fireworks, the creators of Brave as Can Be: A Book of Courage (2015) and other sensitive explorations of feelings offer a catalog of sweet moments and memories suitable for storing up and savoring... A quietly joyful invitation to audiences of any age to stop taking the wonders and pleasures around them for granted."